Humanity has always had a close relationship with bees, whose honey has have been a food staple since before the dawn of civilization. As a symbol, the bees’ lifestyle mimics that of the human social order- a cooperative, productive social hierarchy. In fact, beekeeping is one of the earliest markers of civilized society- bees provided many of the necessities of advancement, providing not only food, but wax for metalworking, cosmetics, and medicines, as well as the ever-important pollination of fruit trees and other food crops. The cultivation of honey was a sacred charge often imbued with ritual symbolism and associated with the mother goddess, whose nurturing protection of mankind was symbolized by the the abundance of honey provided to bee society under the reign of the queen bee. As it was widely believed that bees were born spontaneously, they were widely viewed as symbols of chastity and purity. The Bee’s never-flagging labours made them an emblem of hard work, industriousness, teamwork, perseverance, charity, selflessness, and constancy. These virtues are recalled in many heraldic emblems and personal seals, as well as in the emblems of Freemasonry, the Church of Latter-Day Saints, and in countless trademarks. Observances of the annual hibernation of the hives also resulted in the belief that bees died and were reborn annually, and this, along with their colouring, made them a natural solar symbol- and later, an emblem of Christ in to Christian believers. Greek followers of the goddess Demeter believed her priestesses would be reincarnated as bees; the priestesses of the Ephesian Diana wre called melissae- bees. Deshret or DSRT also represents the insect known as the honeybee. The Book of Mormon claims that the word Deseret means honeybee. ..and it is extensively mentioned in the lecture where it is depicted as a symbol of industry, hence the work of the Lodge, so that Masons should continue to learn in all stages of life. Bees are able to accomplish large tasks because they cooperate in force, a single bee can do very little. This is in parallel to Masonry, where strength is gained by the active participation of all its members. The bee is also the emblem of several Greco-Roman and Indian gods, including Cupid and Kama, both gods of love. The Egyptians believed that bees were born from the tears of the Sun-god, Ra. Bees are also depicted on many ancient tombs, as symbols of the afterlife and resurrection. This probably came from the fact that bees do not leave their hive during the three month hibernation period, only to reappear later. Some compared this to Christ’s resurrection, whereby his body vanished for three days, only to reappear after the resurrection. Furthermore, bees’ honey and sting are also associated with Christ and Judgment Day. In Ireland bees were legally protected, for they produce honey which in turn produces mead, the drink of immortality that flows in the Otherworld. In Christian allegory a queen bee sometimes represents the Virgin Mary, the hive symbolizing the Church. The coat of arms of Pope Urban VIII and Napoleon I, for example, depicts several bees. Last edited by lightgiver; 03-07-2010 at 08:28 PM. All Masons should be burned at the stake in the name of Jesus and Yahweh. I wish I could hear their screams now as they are purified by fire enroute to hell. Why should all Masons be burnt? What have any of them done to you for them all to be murdered? Is this what your Christ has died for? The saviour of likes of you? The many that pray for a release of your prison? Yet you wish harm on other men risk tisk You hypercritical Christian sheepish fool! Stop and Look around you in this day wheres your heaven? TOTAL nonsense. The beehive is simply a religious symbol of Virgin Birth. It has NOTHING whatsoever to do with the "industry" of the bee and the "industry" of a Masonic Lodge. 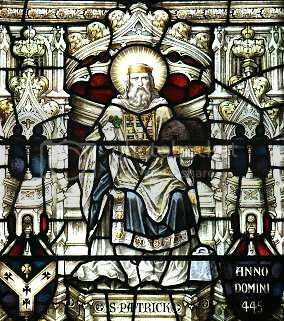 See the symbol of the beehive cell seated on the Bible in the left hand of St Patrick who was a Culdee. The Free Masonic connection and the reference to death and rebirth as eptomised by what was monasticlly regarded as the asexual or virgin reproduction of the beehive. The Grand Lodge of All England has no connection with any other body, Masonic or non-Masonic unless supported by a written Treaty or Agreement ratified by a Convocation of The Grand Lodge of All England. grandsecretary speaks on behalf of The Grand Lodge of All England. He does not represent the policies or views of ANY other Masonic organisation. Last edited by grandsecretary; 03-07-2010 at 11:17 PM. "industry" of the bee and the "industry"
Last edited by lightgiver; 03-07-2010 at 11:18 PM. They put me through MK Ultra as a kid to be a Monarch slave for one. I still remember the rituals and the torture. They illegally removed the French King and worked the Dauphin to death in the 1700s. They have perverted the holy church. My cousin King Philip never did anything so fine as to burn the Templars. I sleep well at the thought of the warmth of them burning. Last edited by eshalis; 03-07-2010 at 11:13 PM. I suggest you read my post again. To be fair to you I have added a great deal of source material since you read it. The Masonic religion IS The Stone Religion of the Culdees. The evidence and the history is overwhelming. St Patrick converted the Druids to Christianity, he did NOT eliminate them in the physical sense. "This church and the civilization introduced by the Romans were swept away by the Picts and Saxons, and the members, called Culdees, were compelled to hide in the wilderness of Wales, Scotland, Ireland, and the small islands between Great Britain and Ireland; chiefly in Anglesey and Iona, where they preserved their Apostolic institutions, which were modeled after the most ancient Christian church, which, it is well known, was the secret or Masonic form. "In the 12th century the Roman Catholic Church began to take a real interest in Ireland. Therefore, that Celtic Church in Ireland was not of Papal origin. Patrick (sic St Patrick) had endeavoured to convert pagan Judaistic Ireland before even the Roman Catholic Church had taken hold on the people. Dr. O'Donovan, upon the Four Masters, states in fact that, "Nothing is clearer than that Patrick engrafted Christianity on the pagan superstitions with so much skill that he won the people over to the Christian religion before they understood the exact difference between the two systems of beliefs; and much of this half pagan, half Christian religion will be found, not only in the Irish stories of the Middle Ages, but in the superstitions of the peasanrty of the present day." "Was Patrick a converted Druid? Well we do know that from the Annals of the Kingdom by the Four Masters he had a Druidic Master/Tutor, Milcho, and perhaps knowing the doctrine of the old religion helped him develop a path of revival and lead the people away from quasi-Levitic rites and ceremonies to real spiritual Christianity and the worship of Christ. Enough? There is plenty more if you want it. Now I AM off to a good night's sleep. Last edited by grandsecretary; 03-07-2010 at 11:42 PM. The Masonic religion IS The Stone Religion of the Culdees. The evidence and the history is overwhelming. Overwhelming? ..............Plenty more for what reason exactly? Jews believe and state openly that Moses was the author of the Hebrew Torah (the first five books of the Old Testament). He is also known to be the disseminator of the hidden Oral Tradition, that eventually inspired the Babylonian Talmud. But, as the great Sigmund Freud pointed out, and as we re-assert - MOSES WAS AKHENATON - the Bible is not a Jewish tome, but an Egyptian one. This is the great secret that has been kept from humankind for so long. The generations of alteration and re-editing by Josephus and Bacon and others has merely assisted in this truth being kept hidden. But when we understand the true identity of this Moses, we understand also the true authors of the Bible. This is the real reason why Bibles can be found on Masonic altars. It is not because Masons are Christians, but because they are Atonists, as are all Christians and Jews, regardless of what false notions the Vatican spin-doctors have connived and enforced. The symbol of King David playing his harp? Well, believe it or not, that harp is the Druidic harp. What do you think that St. Patrick and his coterie were doing, when they were sent by the Christian church under Roman auspices to Ireland. They were burning whole libraries. They don't tell you that. That they were burning whole libraries and they were burning people. They came with sword on hand. This wonderful Roman Empire that we are all told about was so bloody wonderful? Last edited by lightgiver; 04-07-2010 at 12:29 AM. I would disagree there... I don't think one man armed with a leaf would have much chance in a savage land, do you? I don't think he would have had much chance travelling alone either. What about his lover he sent to the island on Lough Derg (known as St Patricks Purgatory) to perish? Do you consider that folk lore? That's the problem with looking into this... where do you draw the line with what is considered lore and what is fact. Is it fact when lore tells how he did actually state banishing this woman who was known to follow him around, yet noone knew her name? Or the lore that suggests all he needed to do was strike his staff against the ground and his accomplices would finish the job converting natives... and that Pagan Priests did in fact jump to their deaths rather than be slaughtered by the same. There is plenty of Folk Lore (written and spoken) to suggest that St Patrick did travel accompanied and did use physical force through his accomplices... or do you have to go with the official version from the vatican? There was an Irish documentary writer who looked into the theory that St. Patrick may have killed a lover on the island in Lough Derg. In 1998, the writer had a team sent into the water to fish around for evidence. A woman's mummified remains were found in the muck under the water. Bearing in mind it is due to a Jesuit Priest (Luke Wadding) that we now celebrate modern day St Patrick, there is a lot more to this than meets the eye. So what lore works for you... Lost Tribes, Tuatha De Dannan, St Patrick or Ollamh Fodhla. St Patrick doesn't entirely add up if you ask me. 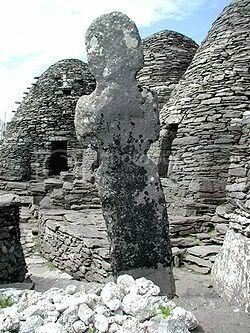 In Ireland we have a representation of the seven caves, or sevenfold cave in the cave of the tribe of Oine, called the purgatory of St. Patrick, an ancient Druidic cell, on a small island in Lough Derg, in the south of Donegal. The island is only 126 yards long by 44 broad; on this is a small cavern, and round it are seven tiny chapels, which perpetuate the sevenfold nature of the cave of Oine, the Irish form of the genetrix, Kun, Gwen, or Kivan. Last edited by macneil; 04-07-2010 at 10:28 AM. What sort of freaky christian are you? let him without sin cast the first stone. Perhaps you might be taking a holiday there yourself. Lol, been on the funny pills have you. I guess abusive priests and tyranical popes havent damaged the church at all. MK ultra, lol. What a fantasist you are. Jews believe and state openly that Moses was the author of the Hebrew Torah (the first five books of the Old Testament). He is also known to be the disseminator of the hidden Oral Tradition, that eventually inspired the Babylonian Talmud. But, as the great Sigmund Freud pointed out, and as we re-assert - MOSES WAS AKHENATON - the Bible is not a Jewish tome, but an Egyptian one. Ah now there is a lot of material been written about such possibilities over the last couple of decades. There is certainly plenty of evidince to suggest that parts of the bible were lifted pretty much stratight from ancient Egyptian religion, though sometimes with different words. Dont forget the spin that history has placed on Akenaton though. But it would have to be said that there is a strong case for arguing that his father and him did start the first single god above all philosophy in the western world at least. And as noted above, when you compare modern day religions with it you can see distinct, and sometimes pretty near word for word similarities. Makes you think. But equally there is the issue of serpent power to consider. And lets not forget prior to Akhenaton, and for some time afterwards people would have thought you a little daft if you simply believed in one God. At a philisophical level I have spent many years considering such issues. My conclusions - history is history, what maters is today as this impacts our future. But any such secret is not really hidden for biblical scholars have been busy investigating this for decades now. But at a time that our planet needs Maat more than it has for a long long time, is it perhaps any suprise that the collective consciousness is once again opening us such possibilities, even if only at a philisophical level? Truth - what is a life without it? Pharohs often wear two things on their head dress though, a vulture and a serpent, representing upper and lower Egypt. Indeed, but as with many things there can be different interpretations. All that I am saying is that after many years of philosophising, reflecting, and facing my own fear of snakes, I can share with you that I have come to understand how to effectively enable Maat you do need to have a certain level of understanding of serpents. Specifically in terms of mutual respect and understanding to enable balance. At a philisophical level why do you think that the serpent protects pharoah? So your ancestors are responsible for the deaths of mine then? Sweet. I have my eye on you. lol ok... not to worry then. in other words , dont you dare challenge the masonic created version of history.